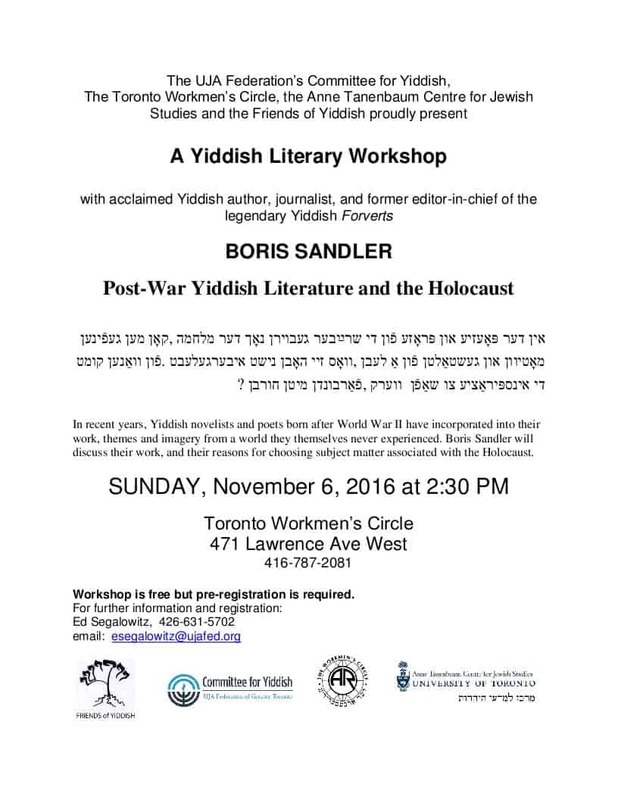 November 6, 2016 at 2:30 - Yiddish workshop led by Boris Sandler. Both the lecture and the workshop are free to attend. The morning lecture requires no reservation. 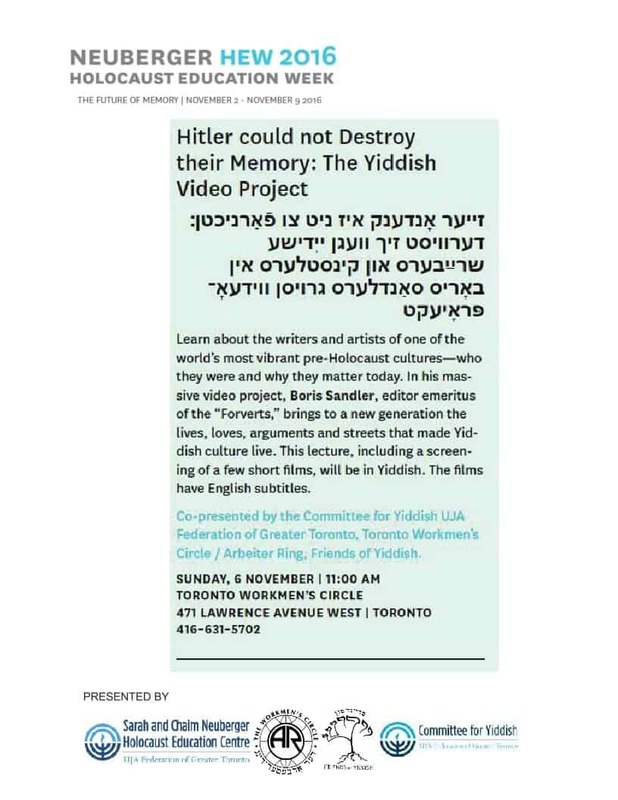 You must pre-register for the workshop by calling 416-631-5702. The venue for both is the Workmen's Circle Centre, 471 Lawrence Ave. W.
See flyers below for all details.